Bank focuses on where the value is - in cloud platform services rather than infrastructure. 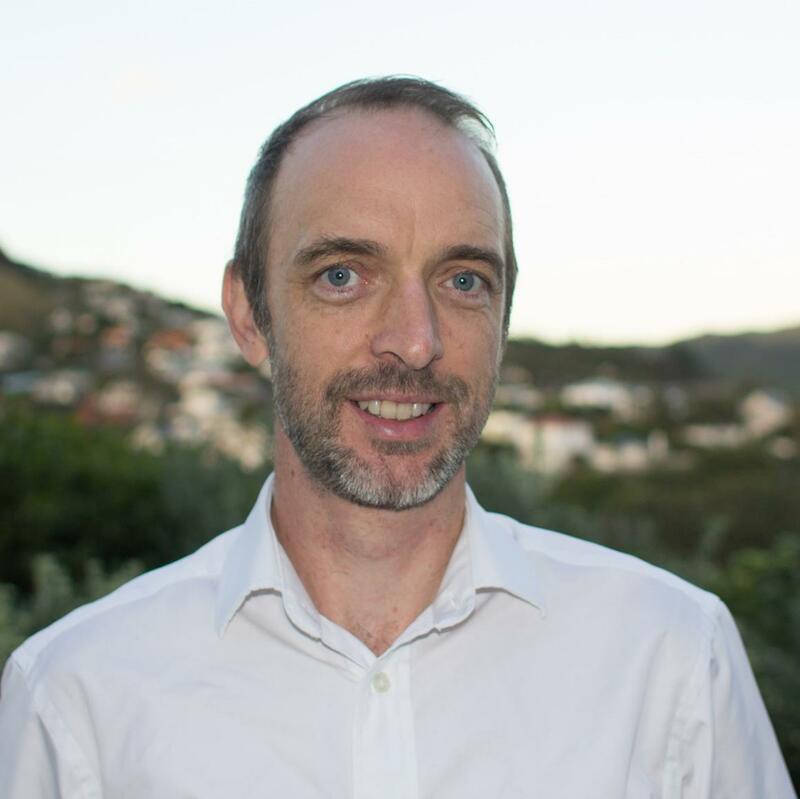 BNZ head of technology strategy, John Baddiley, told an audience at the Microsoft Azure Summit in Auckland that the bank was focusing on "speed to value" through agility, rapid iteration and the use of platform services. But at the heart of it all had to be a strong focus on customer outcomes and experiences. The bank was certainly having to play catch-up. It had been planning, for instance, to move off Lotus Notes since at least 1999 before finally doing so in 2015, in favour of Office 365. As a result, 5000 staff shifted to the new email, document and collaboration platform in the six months to mid 2016. "The things customers and the market are expecting is really changing and it's important for us to change in order to remain relevant," Baddiley said. "Change is essential to avoid becoming the apocryphal frog in the boiling water." After Office 365, voice services shifted to Skype for Business, SharePoint online was rolled out as well as Microsoft Teams. New tools such as Power BI now help the bank to develop new ways to monitor and manage costs. Those changes have seen the bank move from what Baddiley described as a "closed, slow upgrade feature cadence" to "evergreen, rapid feature enhancement". Customer expectations are not being driven by what other banks are doing, he said, but by what people can do at home on Facebook, Microsoft and Amazon. Thanks to this consumerisation of IT, customers can get fantastic services for nothing or next to nothing. 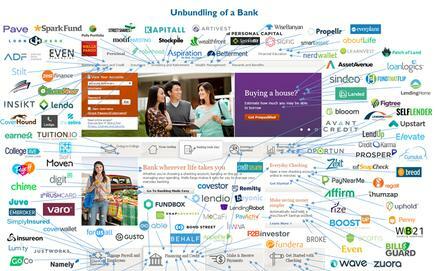 Banking is also being unbundled by a myriad of fintech start-ups and disruptors (see chart below). These fast moving disruptors are unbundling traditional banking, unburdened by legacy technology, without physical retail networks and often unfettered by heavy regulation. "In reality, our future was changing ten years ago, we just didn't realise it as clearly as we do now," Baddiley added. In China, in particular, services such as WeChat and AliPay are radically changing the payments market. The challenge for banks such as BNZ, Baddiley said, is maintaining "enterprise agility". "There's a lot of opportunities and a lot of challenges in the market at the moment, but if we take too long to pivot and respond to those opportunities, then the market will go elsewhere," he added. The challenge for fintechs is in gaining scale, so there is a lot more partnering between traditional banks and the fintech sector now occurring. Another train coming down the track fast is open banking, the forced opening up of banks to integration from the outside via APIs - this has already happened in Europe and Baddiley anticipates it will also come to New Zealand. "It's actually a future that we are looking forward to," he said. Banks are conservative, focused on potential risk, but the cloud isn't a scary place; "it is just outsourcing." Furthermore, Baddiley said banks need to maintain security of systems and information, starting with granular information classifications to allow control. They also need to maintain data privacy and trust, maintain availability and develop the skills needed to build, operate and maintain services in the cloud. The "R" word, regulation, is one of the key arguments hears put against the use of cloud services. This is misinformed and almost becomes an organisation myth, he said. "It's important to understand what the legislation says, what it is trying to achieve, and to talk to the regulators," Baddiley added. "The credit card regulation PCIDSS, the EU privacy regime GDPR and the Reserve Bank's OS11 outsourcing regulations specify how the service is provided, not where. that leaves the use of cloud services open to banks such as BNZ. As explained by Baddiley, speed to value is driven by agile and devOps approaches, enabling iterative changes and rapid roll-outs of new and enhanced services to drive value for customers. Enterpise agility is about being able to identify opportunities and threats and being able to pivot to meet them, Baddiley said. Without that, the rest is irrelevant. Also, bot technology is proving its worth, with one deployed internally for the help desk and another, built in Azure, trialed for KiwiSaver customers. And crucially, customer feedback was favourable - 87 per cent said it was either a good, very good or excellent customer experience and 64 per cent said they knew more about KiwiSaver after talking to the bot than before. The accuracy of the bot's responses grew over four week proof of concept from 58 per cent to 74 per cent. "Where does the cloud get interesting?" Baddiley asked. While infrastructure as a service is the obvious place to start, it's 'not very interesting'. Infrastructure is a commodity but it doesn't help differentiate services. "For us the real value is in cloud platform services, things like serverless computing, machine learning, natural language processing and new models for data management and analytics." These services are being enhanced much faster by cloud providers than if deployed on premise and platforms such as Azure also come with out-of-the-box compliance. Serverless computing, in particular, could help banks break down monolithic legacy application models. 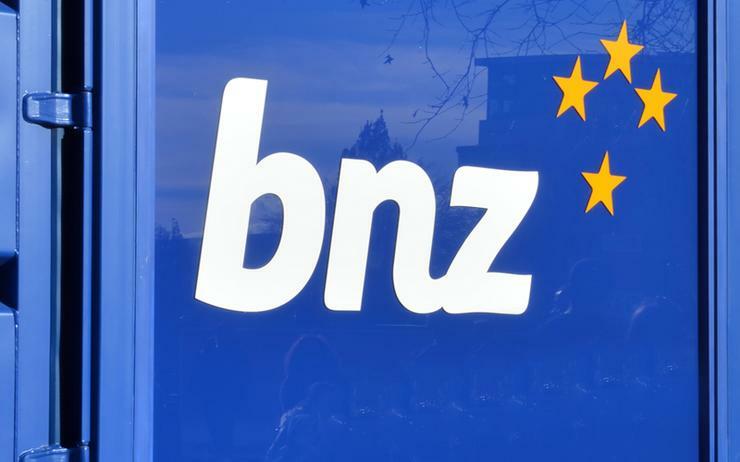 The origin of one such application in BNZ's case can be traced back as far as 1968. Baddiley said BNZ's future is multi-cloud, using platform services to differentiate its offerings and the customer experience. What it's not about is cost reduction. Enterprise agility relies on people, culture and technology, he said, and technology is the easy part. As culture changes, changing processes will become the real focus. As technology becomes more capable, however, the biggest challenge will be to maintain an ethical compass. "If the things we are doing don't have a benefit for the customer we need to question whether it's the right thing to be doing at all," he added. The Microsoft Azure Summit hits Wellington on 1 May.